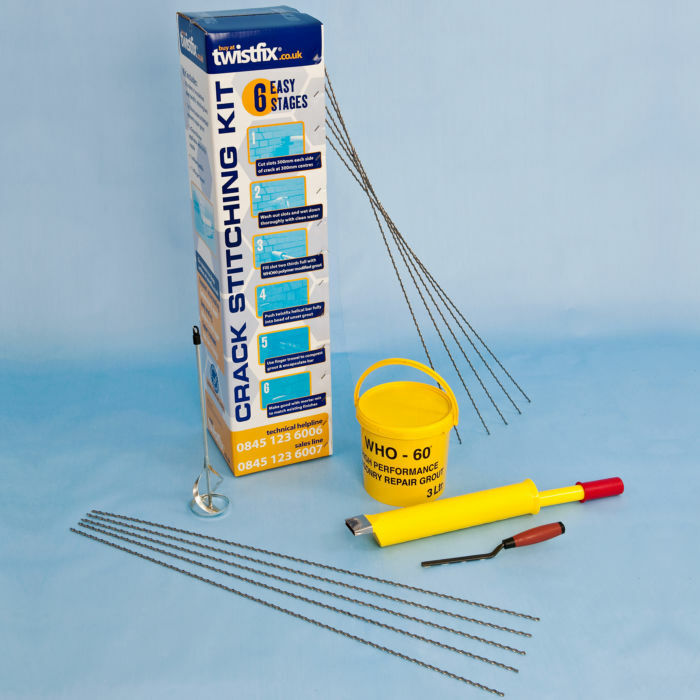 Professional crack stitching kit with everything needed to improve the structural performance of cracked brickwork and stone walls. Contains 1m x 6mm helical bars, offering high tensile stainless steel rein­for­cement. 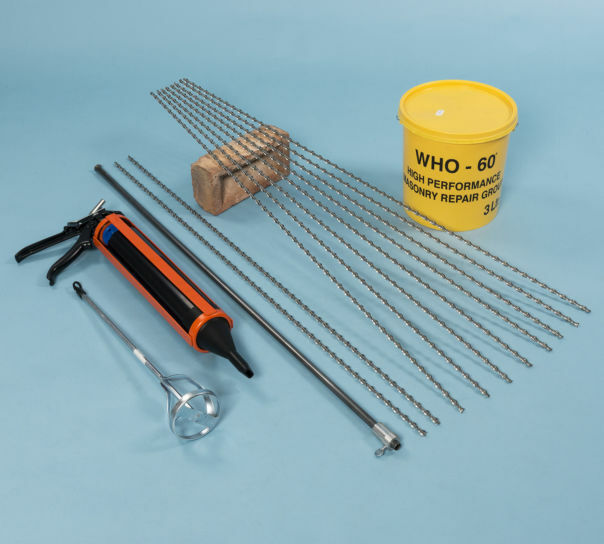 WHO-60 is a high performance grout designed for bonding helical bars into masonry walls. 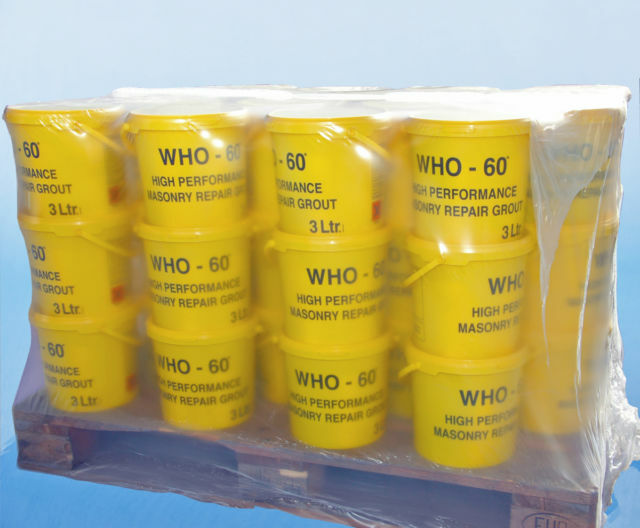 Fully tested at the BRE, this polymer modified grout is sold on pallets of 48 tubs, sufficient for fixing 480 stitching bars. Crack stitching is a masonry repair technique that reconnects and reinforces cracked walls. 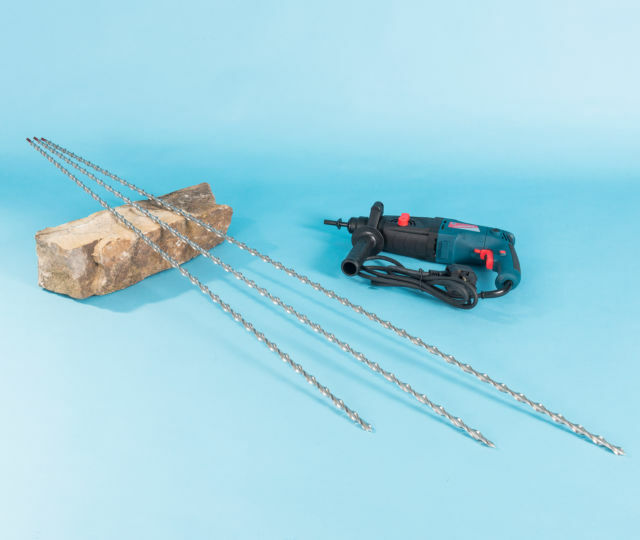 Twistfix supplies a range of masonry rein­for­cement products including stainless steel helical bars that stitch across the fractures to strengthen and repair cracks. 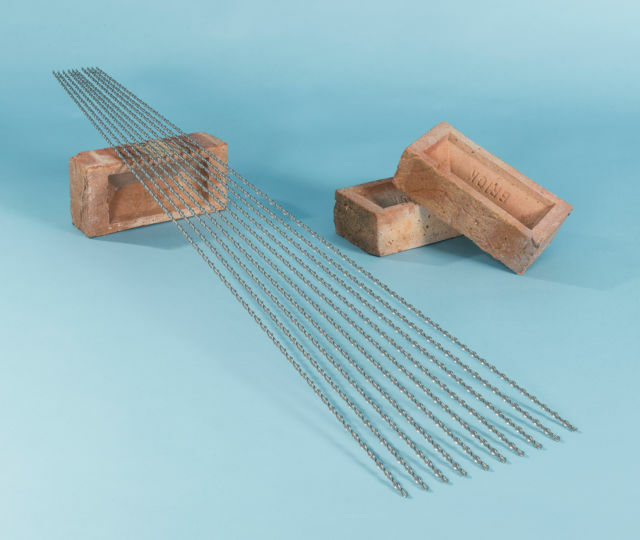 When tying cracks in face brickwork these high strength bars are grouted into slots cut into mortar beds, ensuring the reinforcement is discreetly concealed once the mortar joint is pointed. Tensile forces are redistributed along the wall to dissipate load and minimise the risk of further cracking. Remove mortar along selected bed joints. Flush with clean water and bond helical bars (should extend 500mm each side of crack) into each slot using WHO-60 grout. Where several cracks in close proximity they can be stitched in tandem using one continuous bar. Depth of the slots should be 30mm on single leaf brickwork and 45mm on a solid double brick wall. Thicker walls should be stitched from both sides. 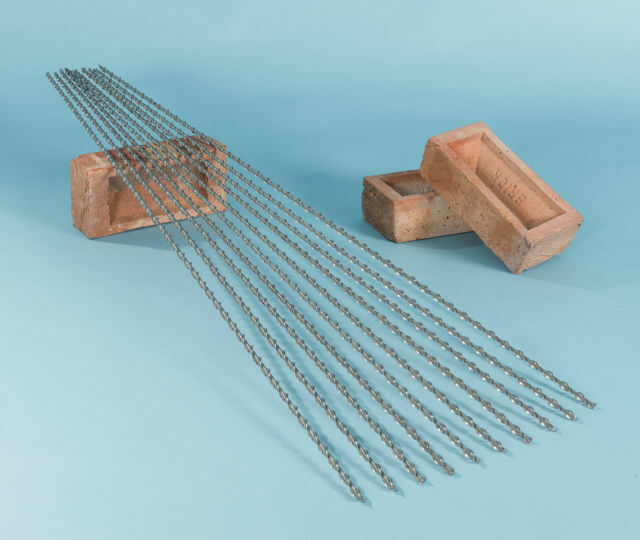 When repairing fractures in rendered walls the reinforcing bars can be installed directly into the brick units to bind them together and, where shear strength is an issue, to permit the use of diagonal rein­for­cement. 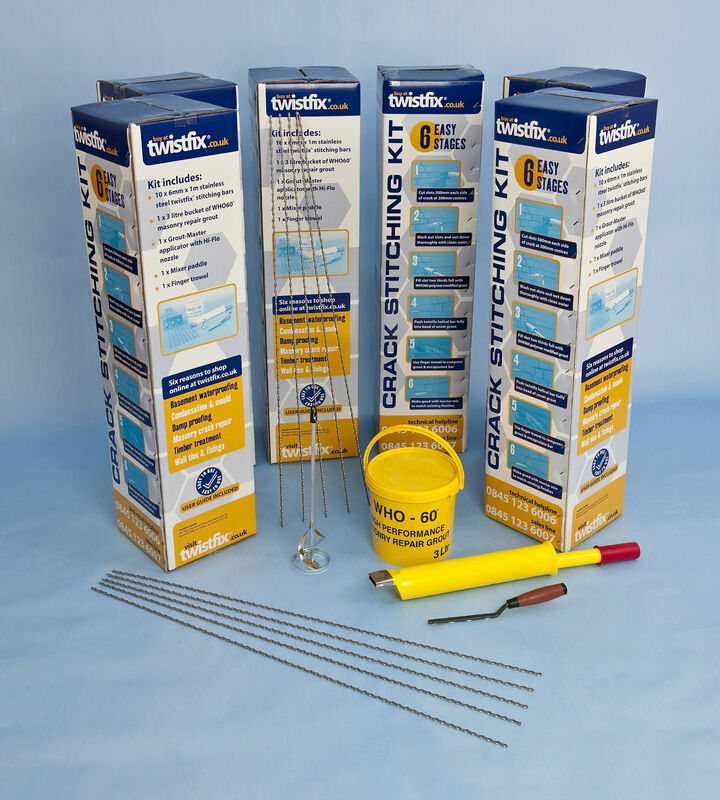 Stitching offers a quick, easy and reliable method of restoring the structural integrity of cracked walls at cost effective prices. 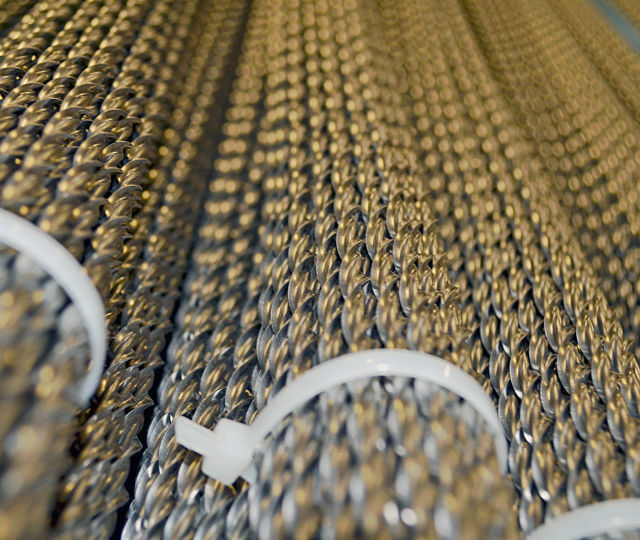 Available Lengths: 1.0, 1.5 and 2.0 metres and in 7metre coils. 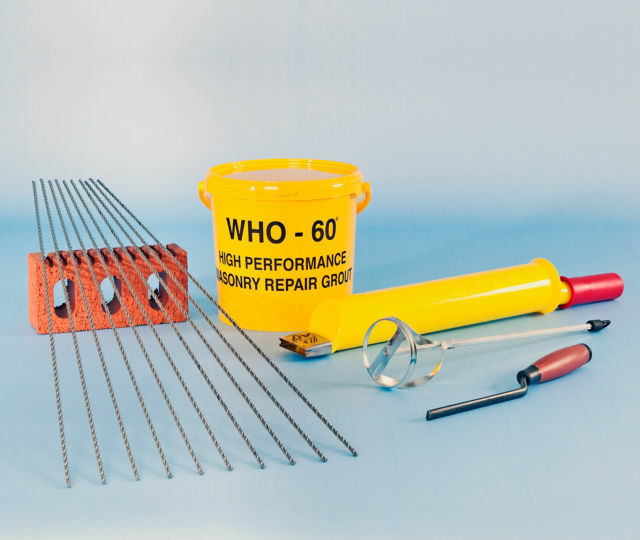 As a market leader in the supply of the best retrofit reinforcement products in the UK, Twistfix are able to offer technical advice on crack stitching techniques that repair cracks permanently, irrespective of whether they are built from brick, block or stone. Simply call our help line to speak to a masonry crack repair expert.